Trunk Or Treat - Family Friendly Fun!! 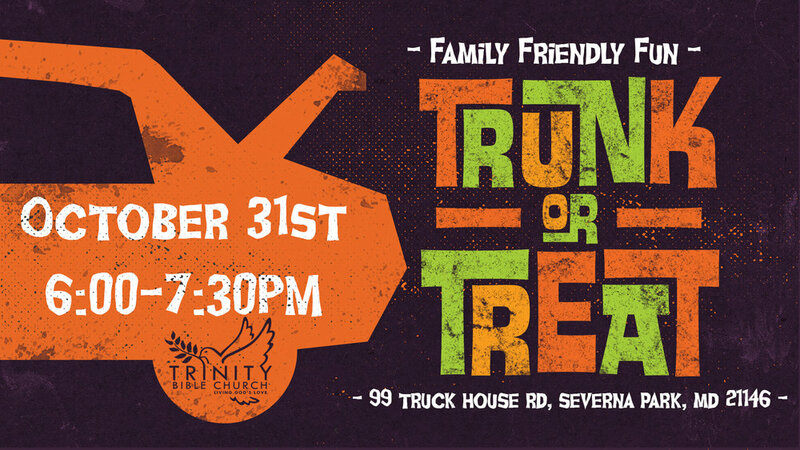 Cars will be decoarted for kids to trunk or treat, in the parking lot of Trinity Bible Church. Takes place on Halloween night from 6:00pm until 7:30pm. Save the date and Invite your friends, family and neighbors!